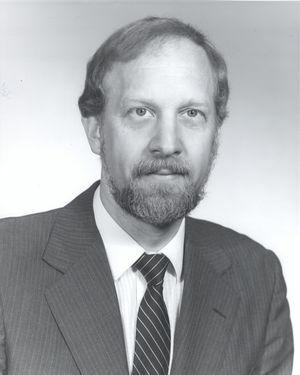 Jon K. Clemens was a co-recipient of the 1983 IEEE Vladimir K. Zworykin Award, with Eugene O. Keizer for "For outstanding contributions to the development of an electronic disc system for recorded television programs." His work and research has contributed to the development of technologies that are used everyday such as DVDs and high-definition television. Clemens attended Goshen College, where he received his bachelor's degree in Physics in 1960. He went on to attend the Massachusetts Institute of Technology where he earned his master's and doctoral degrees in Electrical Engineering in 1963 and 1965, respectively. Clemens began his career at RCA in 1965, where he worked on developing high density video recording and video disc systems for consumer use. The consumer electronics team that he led at RCA ultimately produced the DVD. Clemens holds a total of 19 patents, each achieved over his 21 years at RCA. After leaving RCA Clemens continued his career, serving as president of Chronar Corporation, senior vice president of the Stanford Research Institute, and founding president and CEO of Sharp Laboratories of America. He retired in 2003. Clemens has received numerous awards, including three RCA Laboratories Outstanding Achievement Awards, the 1980 Eduard Rhein Prize, and the 1981 David Sarnoff Award. This page was last edited on 11 February 2019, at 20:00.